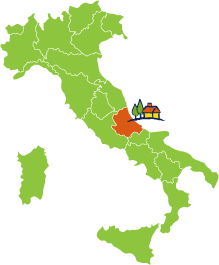 Are you looking for a house or a property in Abruzzo? If, after reading through this paragraph, the Italian buying process still remains an obscure system for you, just think that we are here to help you with everything involved and to ensure your only concern is to sit down, relax and sip your glass of good wine. 1) First of all you need to obtain a Tax Code (Codice Fiscale) from a local Tax Office (Agenzia delle Entrate) or from your nearest Italian Consulate. This is an essential requirement when you request a new supply, a tax refund, an invoice etc. We can apply for the Tax Code on your behalf if you provide us with your passport and sign a short application/proxy. 2) The second step is to open a bank account. We can recommend local banks that are used to deal with foreign clients and offer fair fees. A bank account is required in order to transfer your funds to pay for the purchase itself, for the Agency and Notary's fees and, moreover, to eventually pay your bills through direct debit, very useful especially if you buy a second/holiday home. 3) The negotiation usually starts verbally (to "test the waters") and, when the verbal offer has been accepted, then a formal, written Purchase Offer/Proposal is drawn up by us. This usually outlines the details of the Parties, the conditions of the agreement and payment terms, describes the property and its cadastral data etc. The Purchase Offer is usually accompanied by a first deposit (around the 10% of the sales price) which becomes a confirmatory deposit (caparra confirmatoria) as soon as the contract is signed by the Vendor. At this moment, the Proposal gains the validity of a legally binding contract (Contratto Preliminare) whereby, according to art. no. 1385 of the Italian Civil Code, the Vendor commits him/herself to refund the double of the amount in case he/she wishes to withdraw from the sale and the Buyer accepts to lose the deposit in case he/she wishes to breach the contract. 4) There could be a further step following the Proposal, which is a Preliminary Contract ("Compromesso") drawn up by and signed in front of a Notary. This can take place if the Buyer needs to apply for a mortgage or the paperwork relating the property is not completely in order. The Notary usually charges a small fee for the Compromesso which is deducted from the fee paid at the Deed of Sale. When signing this contract, a second deposit is paid to the Vendor which is usually around the 20% of the purchase price. Both the deposits paid at the time of the Proposal and of the Preliminary Contract are offset against the final price. 5) The final contract, the Deed of Sale, with following registration and transcription of the title of ownership, is drawn up by and signed in the Notary's office. The Notary, chosen by the Buyer, is a public officer and therefore legally represents the State, acting neutrally above the Parties. He/she carries out formal checks to ensure that the paperwork is valid, that the Vendor has full ownership of the property, that it has legal building permits and conforms to the local urban-planning regulations and that it is free of boundaries, liens, mortgages, encumbrances, third-parties rights and any other kind of hindrances. The Notary calculates and collects the purchase taxes (see chart below) to be paid at the time of completion. It is an annual, comprehensive property tax including 3 figures: IMU (first house is exempt unless it is a luxury home), TASI (tax on municipal services, such as road maintenance, street lighting and cleaning, etc.) and TARI (garbage tax). All home owners, both resident and non-residents, must pay for these taxes (in case the property is rented out the tenant has to pay for the TARI and part of the TASI). The payment is divided into two instalments. In case of renting out your property for a long period of time, the tenant will pay for TARI and a part of TASI (between 10% and 30%). Each municipality/council has its own regulations (which can also be changed every year by the central government), therefore you need to check with the local offices which rates is applied to your case. It is recommendable to subscribe a home insurance, especially if your house is not isolated (and therefore damages may affect your direct neighbours) and if you own a holiday home where you don't live for most of the year. Home owners renting their property may also subscribe a third-party liability insurance.